Dress debate nearly breaks Internet; BlueFocus profit surges; More claims O'Reilly fudged reporting record. 1. So, after sleeping on it, what color was the dress? Splitting families and friends like one of the great issues of our times, that question dominated Twitter on Thursday evening. 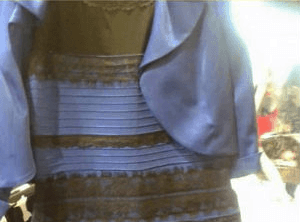 It all started when a 21-year-old from Scotland posted an image of the dress — some see it as blue and black, others as white and gold — on Tumblr. Scientists are perplexed. Brands such as United Airlines, Ikea, and Goose Island Beer Co. took advantage of the craze on Twitter. The great #TheDress debate moved the Internet on from Thursday’s earlier newsjacking opportunity: two escaped llamas on the lam in Arizona. Here’s GMC’s take. 2. Chinese holding company BlueFocus, which bought Citizen Relations late last year as part of its deal for agency parent company Vision7, reported a preliminary net profit increase of 65.8% last year to $115.7 million. 3. The latest claim that Bill O’Reilly exaggerated his reporting resume focuses on his statements that protestors threw rocks at him and his news crew during the 1992 Los Angeles riots. Fox News has stood by its star host. Ratings for The O’Reilly Factor have jumped during the series of controversies. 4. At CPAC, conservatives are skeptical of Jeb Bush’s candidacy, according to The Huffington Post. Meanwhile, Wisconsin Governor Scott Walker’s comments that taking on unions in his state has readied him to destroy ISIS has drawn controversy. 5. New Jersey has settled its decade-long dispute with Exxon Mobil over contaminated wetlands, marshes, and meadows for about $250 million. The state had initially been looking to recover $8.9 billion in damages.